This guest post is by An Adoptive Mother Who Is No Longer Waiting. This guest post is by Andrea Cerny. Placing a child up for adoption can be one of the most difficult decisions a person can make. The reasons for doing so will vary from one individual to the next. Typically, the guiding factor in a placement is acting in the best interests of the child, and in most cases adoptions today tend to be successful. However, because adoption is permanent and will have long-last repercussions that will affect not only your life but also your baby’s and your family’s, there are many issues you need to keep in mind before making a decision. As an expectant parent, you need to weigh many factors before considering adoption for your child. Also, one thing you should know right from the start is that adoption isn’t about “giving up,” “giving away,” or “putting up” a baby for adoption. It’s about creating an adoption plan–one that is made out of love and requires gathering all of the information available to make the best possible decision. Depending on the adoption plan you choose, you have the option of choosing the adoptive parents and keeping in touch with your child as he or she grows up. The most common reason for placing a baby for adoption is the expectant parents’ financial state of affairs. Raising a child is no easy task. You need to provide for them, pay for their education, and give them decent conditions to live in. It is not always about the financial situation, though. 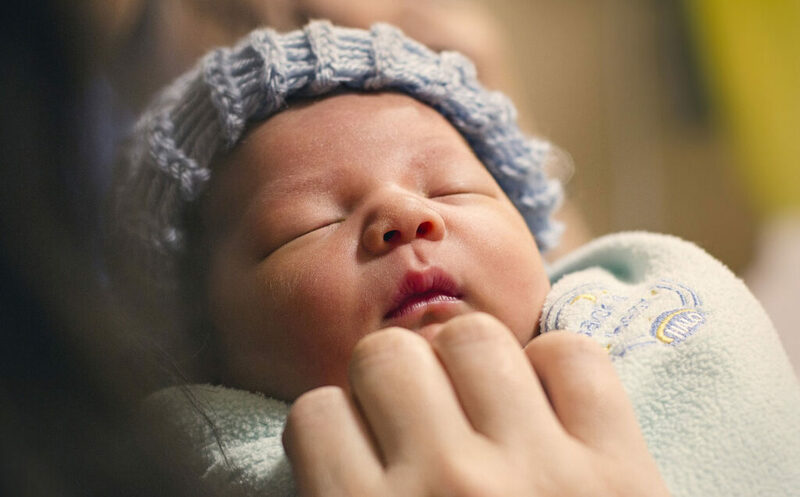 Sometimes, the expectant parents might be dealing with emotional distress and psychological problems that may threaten the well-being of their child and leave them unfit to care for him or her. Expectant parents who are already raising and a child or children and struggling to make ends meet may also consider adoption as an option. This is especially true of young adults who are already raising a child and lack the the resources or time to devote to another one. Adoption can provide their child with opportunities and a future that they’re unable to offer at the time. As mentioned, many expectant parents choose adoption because they want to give their child a better life. As mentioned, if you decide to place your baby for adoption you have the option of choosing parents for your child. There are different adoption plans available, with varying degrees of contact. Open adoption plans, for instance, offer you the most involvement and are the most popular today. With this adoption plan, you and the adoptive parents have a chance to get to know each other and share information before the placement. You can pick the parents directly yourself, or with the assistance of an agency or adoption professional, based on criteria that you establish. By doing so, you can make sure that your child grows up with a family with whom you have shared values and beliefs and that you know and trust. While many adoptees in the past felt a sense of shame and isolation regarding their adoption, today adoption is considered just another way of starting a family and is much more accepted by society. Placing a child for adoption can provide your baby with a stable and loving home. But it is a permanent decision that involves terminating your parental rights—as a result, it represents a loss for you, your child and your family. Feelings of sadness, guilt and anger are not uncommon during and after a placement, especially in the early stages. Over time, these feelings may wane or be offset by your ability to keep in touch with your child and his adoptive parents. But it’s something else you need to keep in mind when making your decision. Also, there are no guarantees that the adoptive parents will follow through on their promises regarding openness and contact. Although it’s possible to create a contract with the adoptive parents regarding future contact, those contracts are not legally building. That’s why it’s important to build your relationship with them on a foundation of trust and honesty based on the best interests of your child. And that also extends to the relationship you have with your child. Adoption is a challenging process and can have a negative impact on a child’s identity and self-esteem. Being honest and transparent can go a long way to helping your child deal with any stigmas associated with his or her placement and help build comfort and confidence. Choosing to place your baby up for adoption will definitely be one of the toughest decisions you will ever make. Make sure you look at the situation from all angles and be absolutely certain that it is the right choice for you. If you conclude that it is and that an adoptive family can provide your baby with the live you want your child to have, reach out to a counsellor and other birthparents at the earliest opportunity and learn everything you can about the process. They can explain what is involved in the process and what you can expect to experience in the weeks, months and years ahead. Although adoption can be a wonderful alternative it’s not for everyone. By doing your research now and weighing the pros and cons, you’ll be in a better position to figure out how the process works and whether placement is the right choice for you. Andrea Cerny is a writer with Angel Adoption Inc. with a background in publishing, marketing, and online media. Do you have a adoption story? Share it with us today. This guest post is by Rita Soronen, President and CEO of the Dave Thomas Foundation for Adoption. This guest post is by David McKinstry, an adoptive father. I remember my grandparents using that old adage when they’d tell me about making the decision to leave Ireland and the United Kingdom bound for Canada in the early 20th century. They said once the decision was made, there was no turning back and they faced the fact they were “in for a pound, in for a penny” and would meet all adjustments and challenges head-on and with determination to make it work. Likewise, I assumed that headstrong position when I decided, early in my life, that I would be a parent someday, one way or the other.